Video: Here Comes Another Bubble? 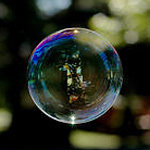 Are we in another Web bubble? The Richter Scales has produced a parody video that my friend just sent me that takes on an old Billy Joel tune to convey some Web 2.0 bubble thoughts. Regardless of if you think that another Web bubble is about to burst or not, it is a very well done video and will most likely make you grin. The video (below) was created by Matt Hempey and company.